It becomes rather necessary for a search engine optimizer to find out the exact keywords with which his/her website is ranking on the search engines. The big question then wonders in the mind of a search engine optimizer- "How to find out which keywords my website is ranking for? " . Seo world has a lot of inhabitants in the form of tools. These hugely successful seo tools can make the things really easier for you. You need to verify your website on the GWT before you start seeing the keywords you rank for. It shows you the number of times your website was displayed by Google with respect to a particular query by way of impressions. Besides displaying the average position of your website, it shows the CTR and the total number of clicks. 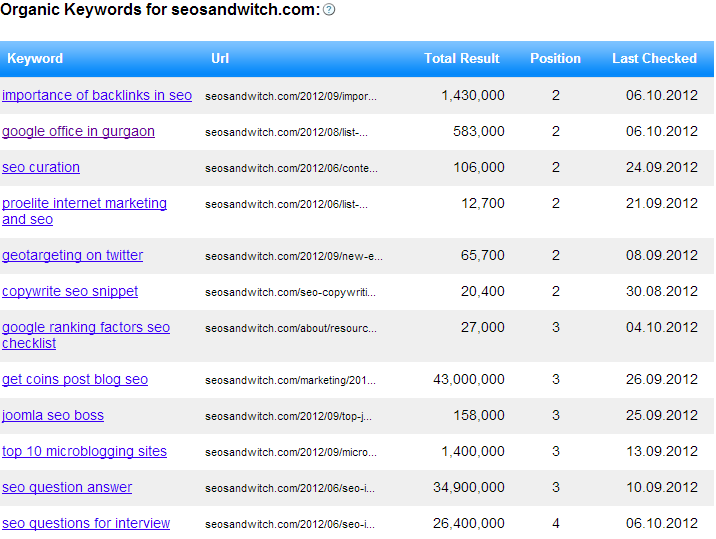 Seoprofiler helps to accurately display a list of keywords with which a site ranks for on Google. 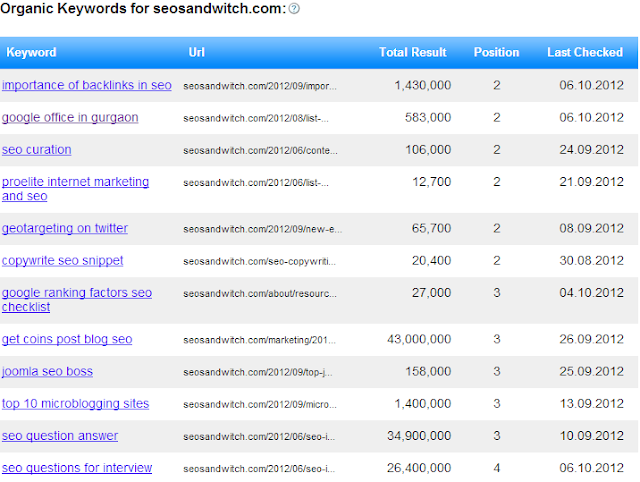 You will be amazed to see, how accurately it shows the exact keywords and their current rankings. Here is a snapshot of what it actually displays. Webstatsdomain is another great tool for finding a list of organic keywords with which your website ranks on Google. 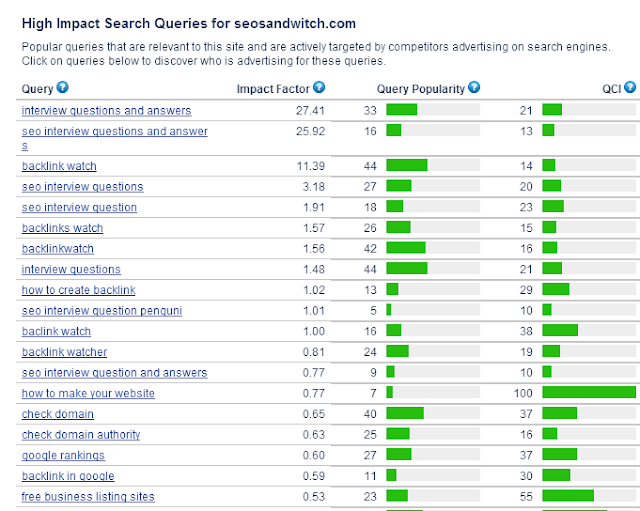 It displays the organic keywords and their current rankings on Google. Alexa is widely popular tool in compiling a list of high impact search queries for your website. It displays the exact search query, the impact factor, the popularity of the query and the query competition index (QCI).